Hey, y'all! I am so excited to share today's post with y'all! I love making freebies for y'all, and it's been too long since I shared one. Recently, I made a hand-drawn, hand-lettered coloring page for all you who love Bible journaling like I do. When I finished the printable, I realized I had a fun tip to share with you that I learned from Instagram. 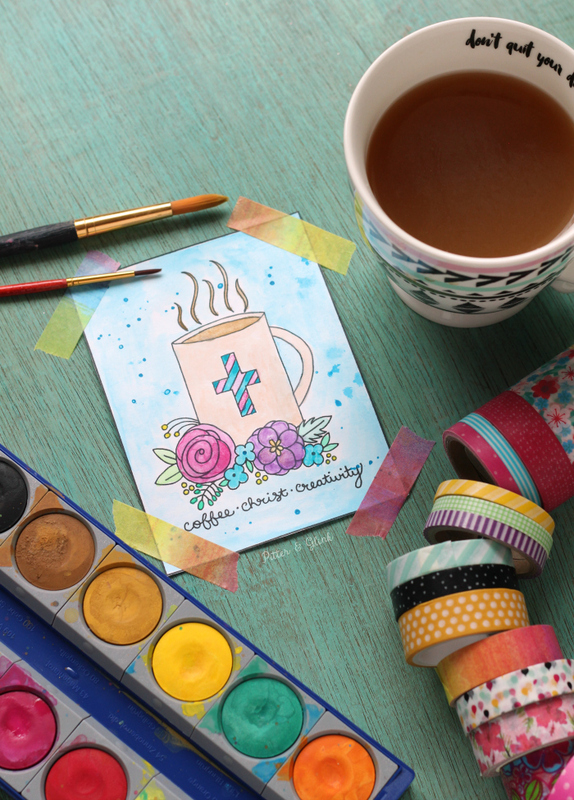 So today I'm sharing my cute "Coffee, Christ, and Creativity" printable, and I'm showing you how you can prep any coloring page so that you can use paint on it instead of being limited to only using colored pencils or markers! So first of all, I have to show you the fun coloring page I'm sharing with you. Isn't it cute?! 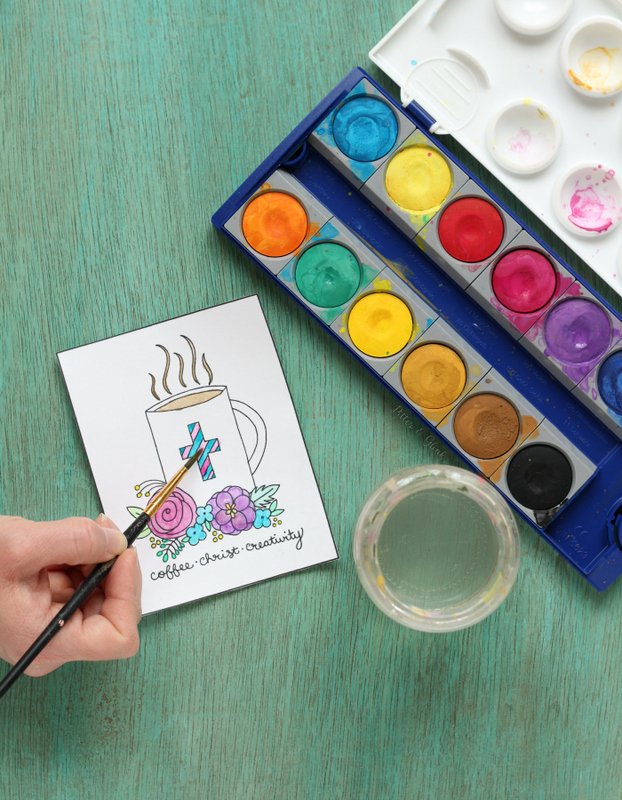 I am all about coffee, flowers, Jesus, and being creative, so this coloring page that I drew for y'all totally represents me and my loves. I know there are many of you who share these same loves, so I know that you're going to be just as excited about it as I am. 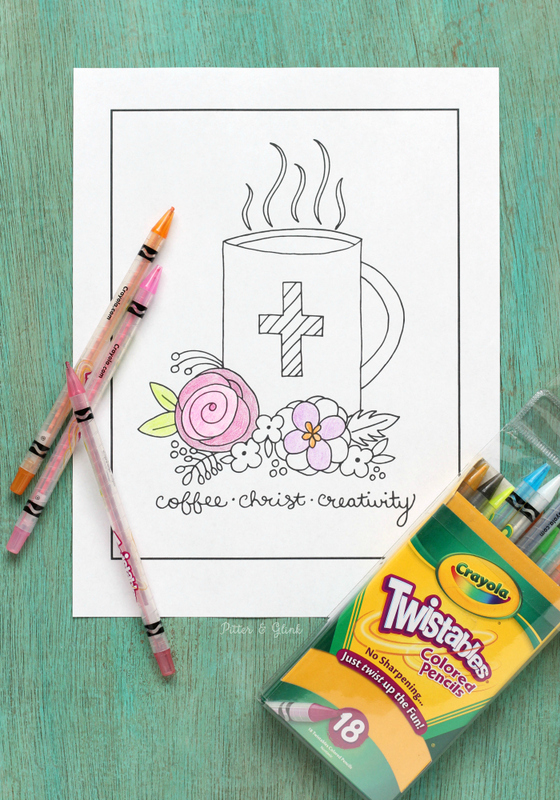 Download the free "Coffee, Christ & Creativity" Coloring Page here. Remember that, as with all the freebies I share, this freebie is for personal use only. Once you download the coloring page, simply print the file. (You may want to choose "fit to page" under your print options if the coloring page seems to be spaced weird on the print preview.) After you print the page, you're ready to color!!! But you know what? You might not want to color the page. You might want to use PAINT to create your own little work of art. So today, I'm going to share a new trick I learned with you. I follow a very cool artist named Mab Graves on Instagram. 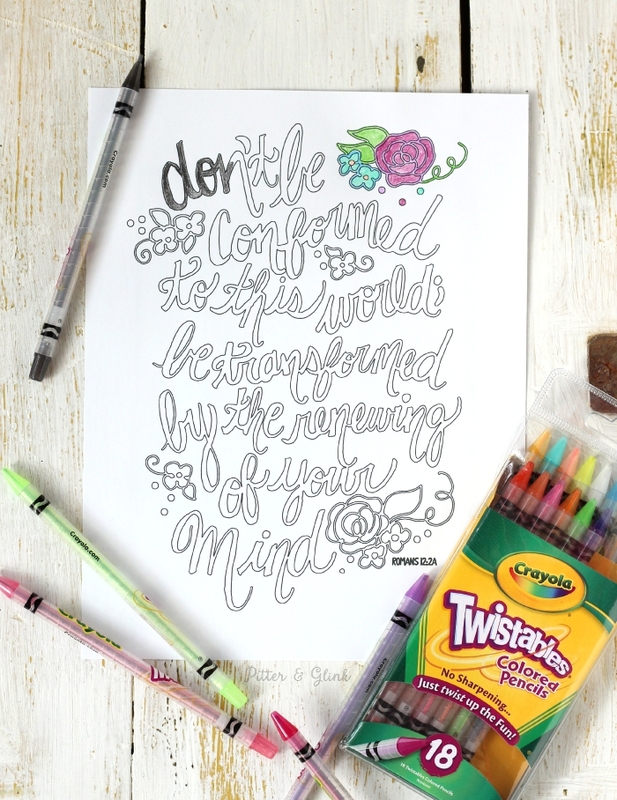 She shared a short little video on her Instagram page showing how to prep coloring book pages for paint, and it couldn't be easier. 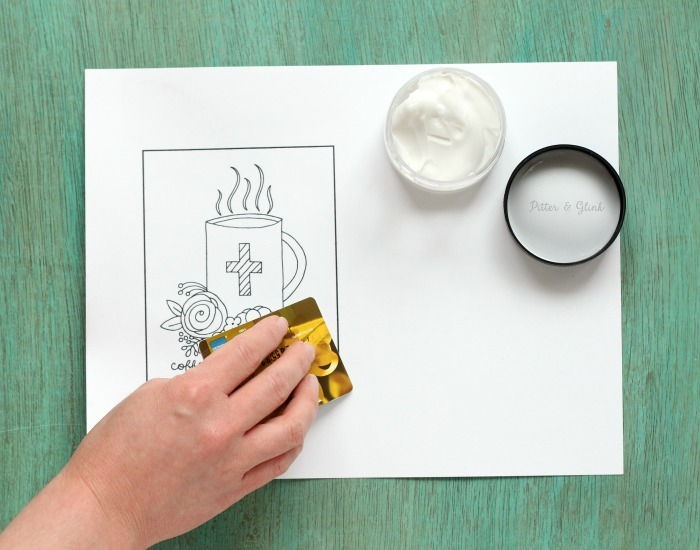 Once you print out your coloring page, use an old gift card or credit card to spread a thin layer of matte gel medium or clear gesso over the page. Once the page is sufficiently covered with the medium or gesso, let it dry. Note: I printed my coloring sheet using the print feature that allows you to print multiple pages on one sheet of paper so that I could print it small, and I printed on card stock instead of copy paper. 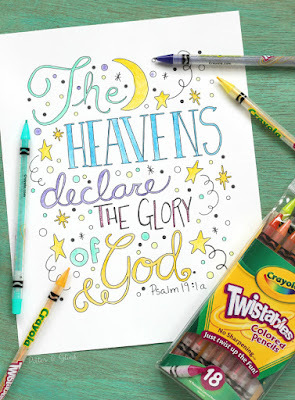 Once the page is dry, you can paint the coloring page with watercolors or acrylic paints. Please note that watercolors will behave a little differently on a prepped page than they do on a non-prepped page, so that takes some getting used to. Once you finish painting the page, let it dry. If it buckles a little while drying, you can always place a few heavy books on top of it for a bit, and that should flatten it pretty well. It's so fun to be able to use paints on a coloring page!!! It opens up a whole new world of creativity for people who don't necessarily feel comfortable drawing but would like to experiment with paints, and it makes everyone feel like an artist because there's just something about using paint instead of crayons that makes you feel like you've moved to the next level when it comes to art. What a cool idea! 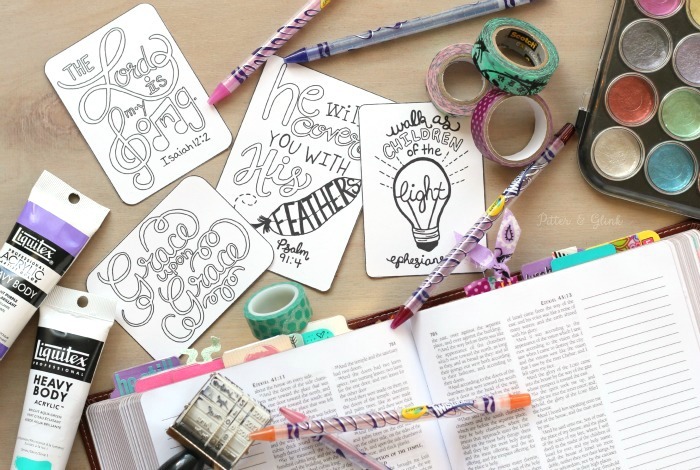 I am not super artsy but I will have to try this! Thanks! I really want to try this! would you mind if I share and link to you on my blog? I would not do it without your permission. thank you. Thank you for the cute coloring page. It's adorable.